A uniquely American take on the French St. Marcellin, St. Albans takes its name from the town of St. Albans, Vermont, and recalls the Creamery’s longstanding partnership with the St. Albans Co-operative Creamery, longtime producers of their high-quality cows’ milk. 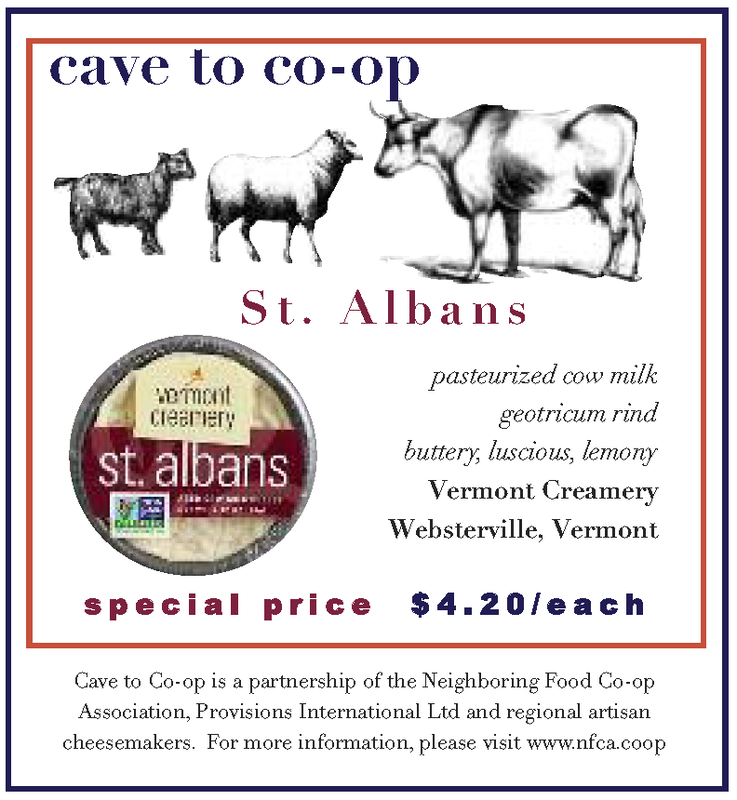 St. Albans is Vermont Creamery’s first non-GMO Certified cheese as well as their first cheese made with 100 percent cows’ milk. St. Albans is a delicious cheese to share this holiday season, and a great way to support our region’s artisan cheese makers and co-operative farmers! Spoon molten St. Albans over crisp herb seasoned potatoes in this simple yet decadent dish. Place potatoes on a baking sheet and drizzle with olive oil, herbs, and salt. Toss to coat. Bake for 20–25 minutes until cooked through. With 10 minutes of bake time remaining for potatoes, add the crock of St. Albans onto the baking sheet. Once potatoes are lightly brown and cheese is molten, remove from oven and serve immediately by spooning cheese over potatoes. Think outside the crock: Pile a spoonful of jam and a sheet of puff pastry atop St. Albans and bake for a fresh take on the traditional cheeseboard. Spoon tbsp of jam onto the top of St. Albans Remove one package of thawed puff pastry, cut a small square slightly larger than the crock. Wet the underside edges of the dough with a little water, then gently lay the dough over the cheese, pressing down on the edges to seal in the jam. Place on cookie sheet or baking dish, and bake for 20 minutes or until pastry is lightly brown and crisp. Serve immediately with a sliced baguette.